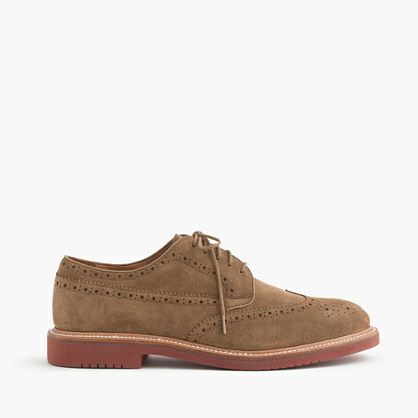 Dressing for the office in the summer is not the easiest task, but your outfit should give the illusion that it is easy. 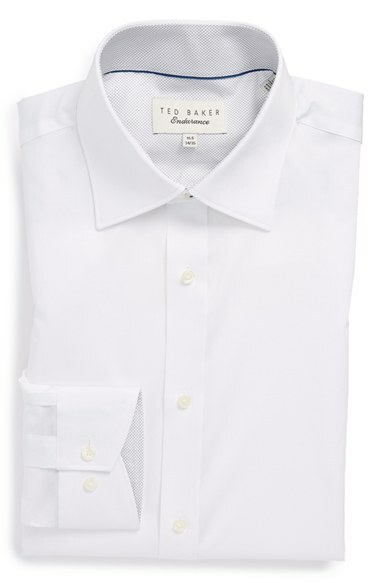 Without paying attention to fabric weight and color in your suits, you'll attract sweat stains that are neither attractive nor good for business. Not only is the heat an excuse to wear less layers, but an excuse for you to pay more attention to detail, plus express yourself with a bit of color (and an excuse for an iced coffee every morning). The problem comes when most gentlemen just lose the jacket, and... that's it. No, no, no. 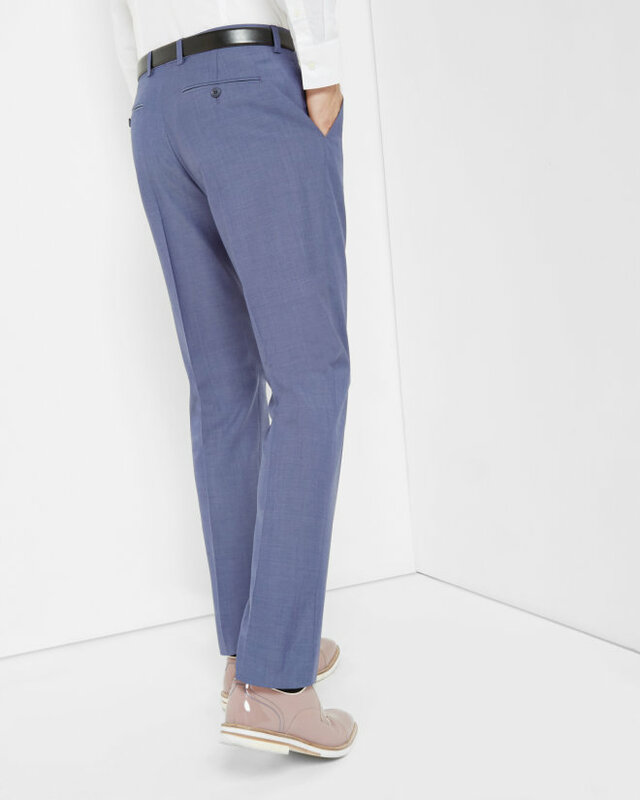 Stepping up your tailoring in the summer time requires a modest investment in lighter fabrics and softer colors such as these breathable wool-blend pants from Ted Baker. 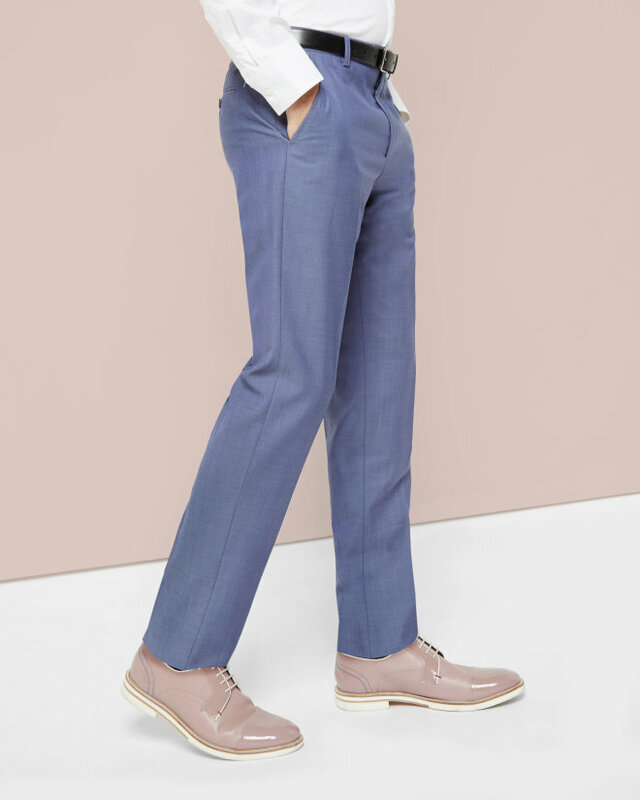 They're the ultimate summer pant in a modern yet comfortable fit, and should almost always be worn with a white dress shirt (plus a vest, if that peaks your interest). Stray too far away from this and you'll look like your celebrating Easter in July. The hem of your pants should hit the top of your shoe with no break, allowing you to show a little man cleavage and your ankles to breathe. 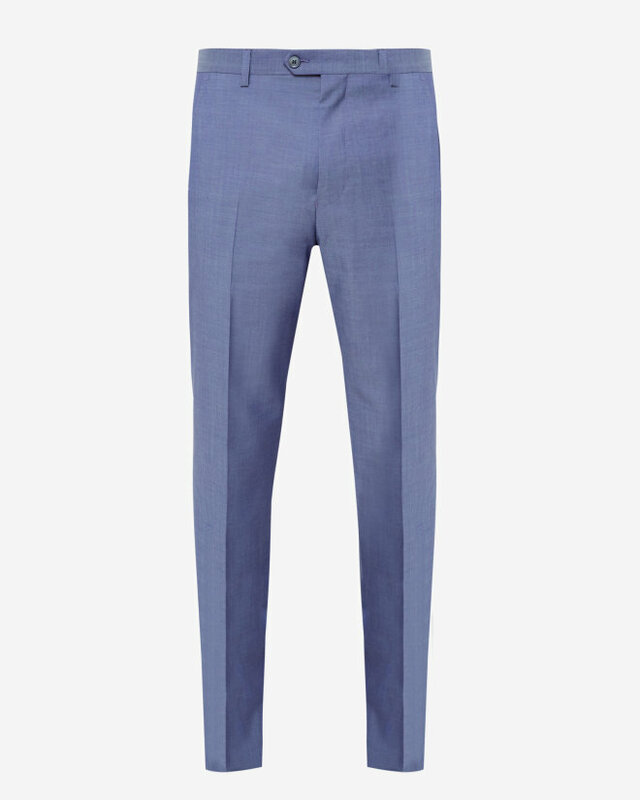 Avoid these trousers on days where you won't be making an important presentation or having big meetings which would require a suit jacket.